The division is active in a wide variety of clinical activities. These include inpatient acute dialysis, evaluation and management of fluid and electrolyte disorders, renal transplantation, outpatient clinics and the management of patients with end-stage renal disease. There is considerable exposure of the house staff to the nephrology program. The intern is responsible for the daily care of all patients admitted to the inpatient services by nephrology faculty and those patients for whom the division is providing consultation to other attending physicians. The intern has the opportunity to learn patient management and critical decision making from the division’s faculty and fellows. 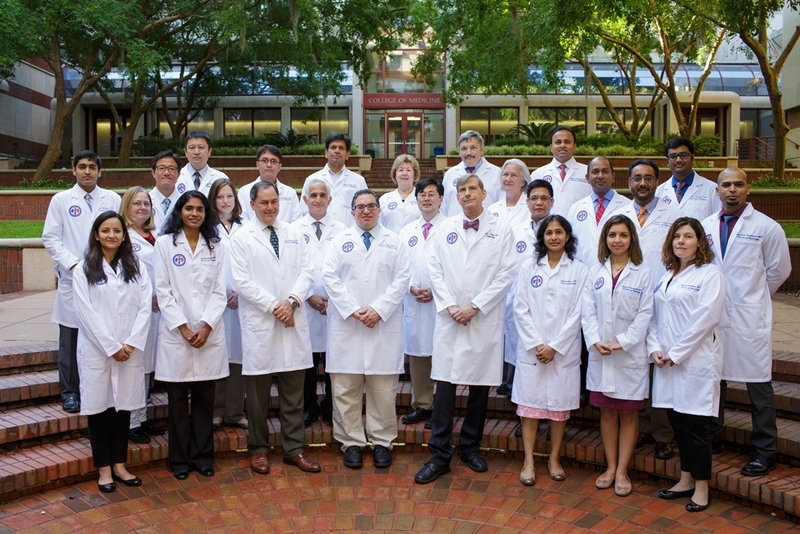 The PGY-2 and PGY-3 residents have the opportunity to select an elective rotation on the nephrology service during which time they receive intensive training in the diagnosis and management of kidney disease, hypertension, fluid and electrolyte disorders, dialysis, and renal transplantation in both the inpatient and outpatient setting. The residents work side by side with the renal fellow to provide consultations during which time they participate in work rounds, attending rounds, division conferences, student teaching, and outpatient activities.